Author of the book, Fats That Heal Fats That Kill, Dr. Udo Erasmus is an international authority on fats, oils, cholesterol and human health. After receiving his B.Sc. 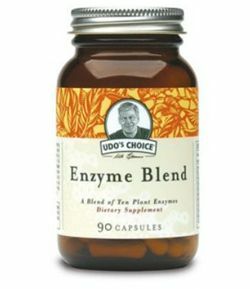 in Honors Zoology from the University of British Columbia and completing his graduate studies in Biochemistry and Genetics, Udo Erasmus turned his attention to nutrition. Several years of research culminated in the publishing of his work and earned him a PhD in nutrition. 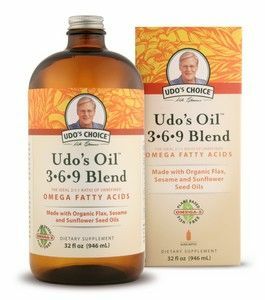 Known as the father of "Organic, Unrefined Flax Oil" & Udo's Choice Oil Blend: Udo Erasmus, Ph.D., introduced the importance of essential fats (EFA's) derived from organic flax seeds to the world. He pioneered methods for producing unrefined oils made with health in mind which are still used today by manufacturers of flax and other oils. Starting in the mid-1980's, Udo popularized the use of flax oil through an exhaustive itinerary of public lectures, which eventually led to TV and radio interviews. His groundbreaking book, Fats that Heal Fats That Kill, has become the industry's bible on fats. 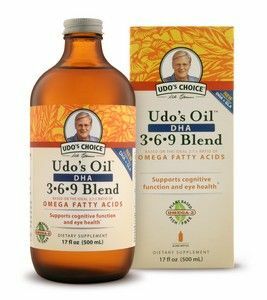 Later he developed an oil blend which is an improvement on flax oil, offering a better ratio of Omega-3 to Omega-6. 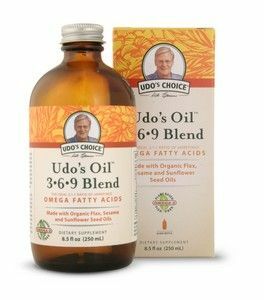 Starting with superior raw materials is vital, and Udos Choice Ultimate Oil Blend is produced using the finest certified organic-grown ingredients. 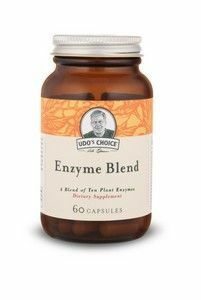 First, the seeds are cold pressed in a light and oxygen-free environment to preserve the integrity of the delicate omega-3 and 6 molecules and so ensure superior quality. 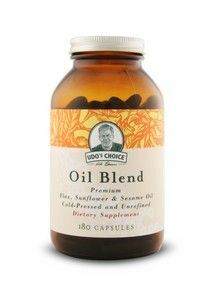 The oil is refrigerated all the way from pressing and blending right through to point of sale, and therefore maintains its full integrity and its fresh nutty taste. 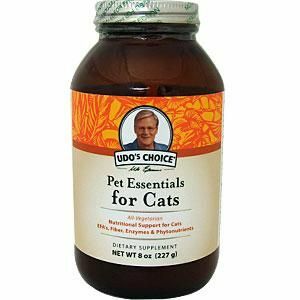 Udos Choice bottles are nitrogen-flushed to eliminate any possibility of oxidation so preserving freshness. Dark amber glass and an outer box eliminate harmful UV light. 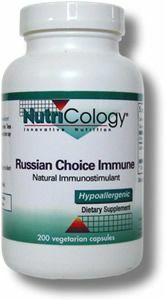 The formulation is free of fish oils due to the rising levels of toxic content within fish products. That makes it a vegetarian & vegan product as well. 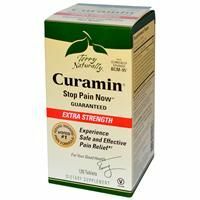 The combination of constituent oils and minor ingredients often lacking in other oils has been carefully developed over many years by Dr. Udo Erasmus to achieve maximum assimilation and efficacy. Udos Choice Ultimate Oil Blend is guaranteed gluten-free and cholesterol-free. 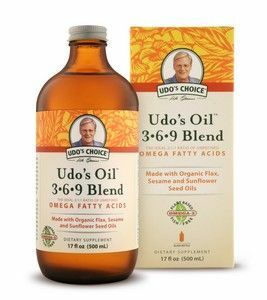 The final proof is in the glowing responses we receive from users each one describing improved aspects of health since starting to take Udos Choice Ultimate Oil Blend. 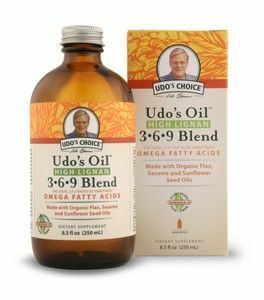 "I discovered Udo's Oil and the other products a few years ago. 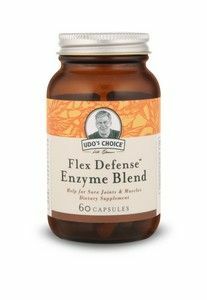 My digestion, my skin and hair have improved drammatically, as result I feel stronger and with more energy. 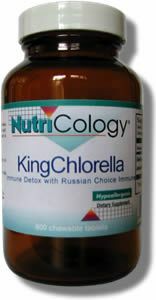 I would recommend this Oil to anyone as part of their daily diet. 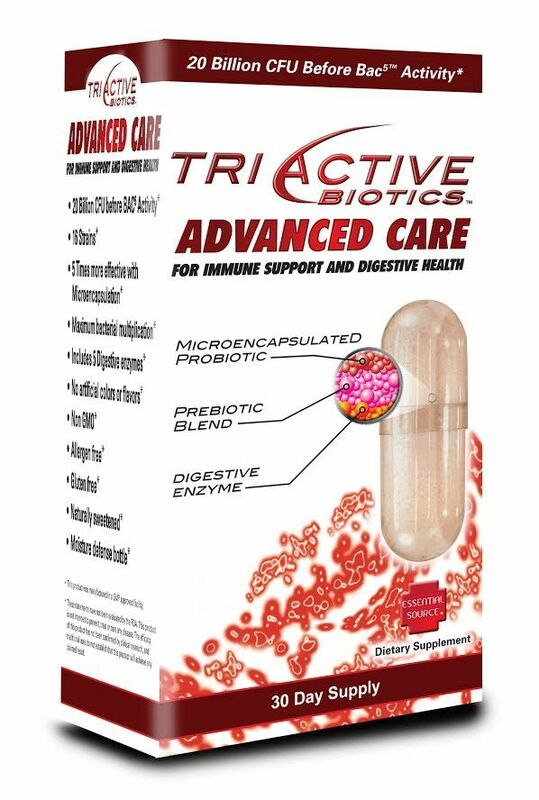 This product is far ahead than many conventional products available on the market !" According to Dr. Erasmus, since 1900, Omega 6 consumption has increased by about 2 times the previous levels, primarily because of increased use of certain vegetable oils in food preparation, while Omega 3s are now only 1/6 of previous levels. 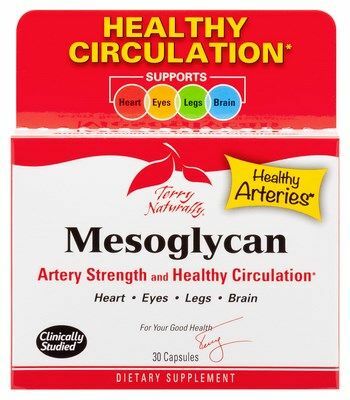 This means that we get too much Omega 6 and too little Omega 3 fatty acids. 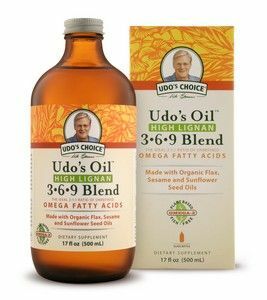 Ultimately, imbalances and deficiencies in essential fatty acids are, according to Dr. Erasmus, the cause, a trigger, or a contributing factor to many diseases and conditions, and addressing those deficiencies through proper foods, or use of healthy oils, can have huge implications for health. Organically grown food was always an important part of the human diet, and with it came bacteria found in the ground. 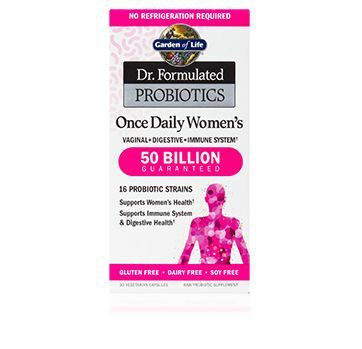 These beneficial bacteria, or Probiotics, were a regular component of our daily diet, and contributed to the vast ecosystem in our gut that ensure we maintain a healthy gut and therefore good health. 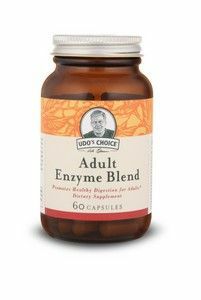 Noticing that today's foods are heavily "sanitised", Udo realised the benefits that re-introducing these beneficial bacteria to our diet would have, and developed the Udo's Choice Probiotics. A good diet of green foods and vegetables brings a host of benefits from the micronutrients found in it. But what about variation? Today we eat scarcely more than 20-30 different food types, compared to several hundred during our evolution. 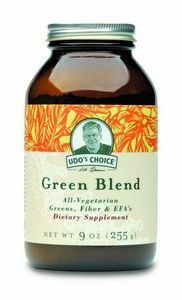 To ensure our diets include a wide variety of compounds often missing from our modern diets that bring a new vitality to life, Udo created Udo's Choice Beyond Greens. 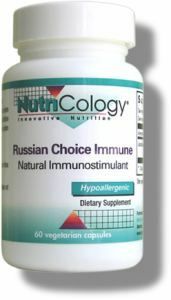 Promotes Healthy Digestion for Aging Adults. 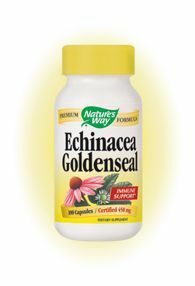 For seniors and adults with compromised digestion. 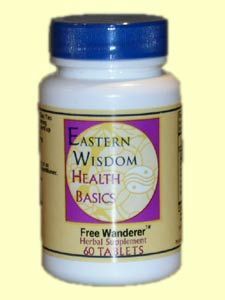 Estro Choice by Natural Balance provides herbal preparation for the many mid-life changes in women. 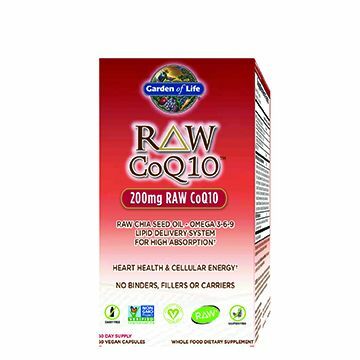 Try Raw CoQ10 from Garden of Life as your natural choice for potent antioxidant support, boosting cellular energy and protecting a healthy heart. 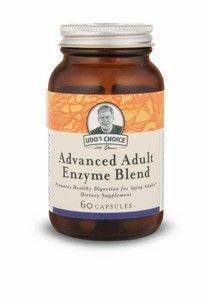 Brain Active includes AlphaSize GPC a pure form of choline that supplies the bloodstream instantly for optimal brain function. 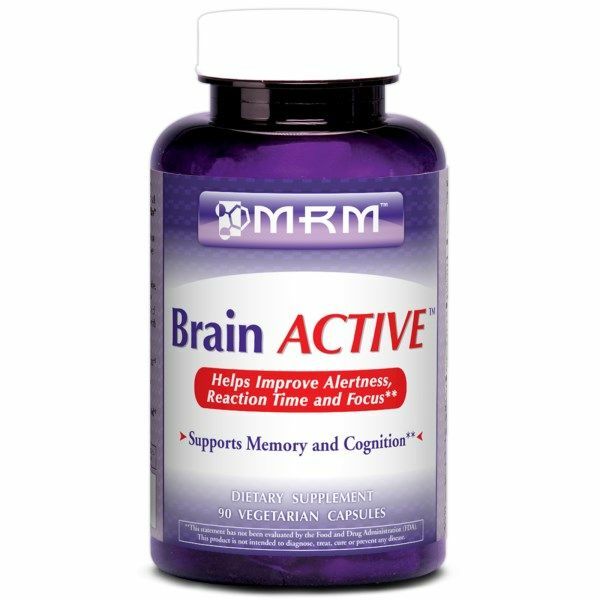 Brain Active ingredients are key to supporting memory, cognition, focus, learning and mental energy. 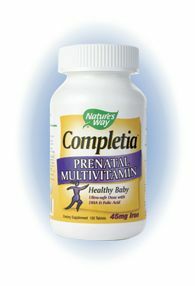 Nature's Way Completia Prenatal Multivitamin, Pamper your baby and yourself with the "miracle of life" goodness with the right Prenatal Multivitamin. It's a choice of life. 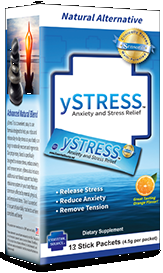 Valerian root has been the primary herb of choice for supporting a restful sleep. 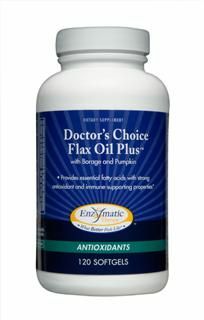 Doctor's Choice Flax Oil Plus providing essential fatty acids with strong antioxidant and immune-supporting properties. 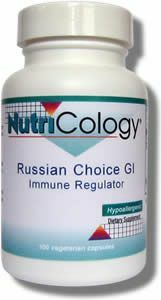 This formula provides synergistic support for innate immunity and gastrointestinal detoxification and health. 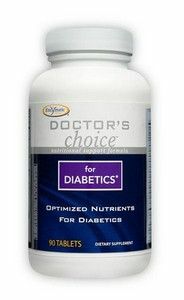 Enzymatic Therapy Dr's Choice for Diabetics is designed to provide extra nutritional support for individuals with elevated blood sugar levels. 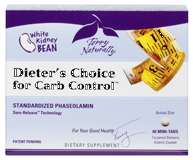 Dieter's Choice for Carb Control is the only phaseolamin (from White Kidney Bean extract) that is highly concentrated, enteric costed and purified so only 2 mg per meal is required. 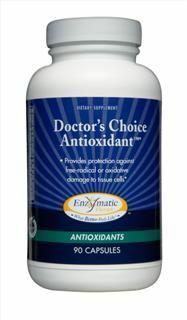 Doctor's Choice Antioxidant delivers the extraordinary, super-concentrated antioxidant power of 15 nutrients to protect against free-radical damage. 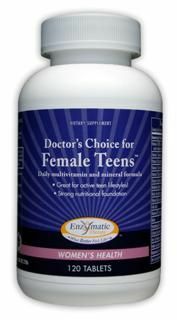 Full range of key vitamins, minerals and vital nutrients to meet the specific nutritional needs of women during their reproductive years. 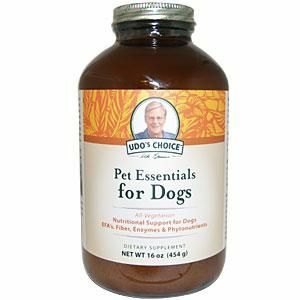 This formula includes: Calcium, vitamins and trace minerals for bone health, iron to support menstrual health, chaste tree berry for hormone balance and to ease PMS symptoms and cranberry extract for urinary tract and bladder support. 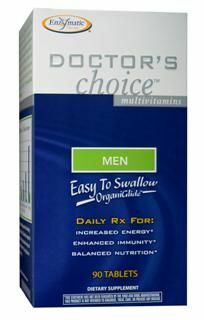 Superior multivitamin provides essential nutrients for masculine functions. 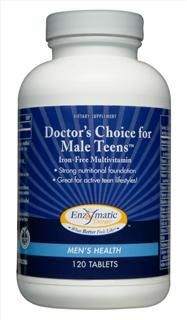 The formula includes high-quality herbal extracts such as Muira puama, which helps improve libido and sexual function and ginseng, which helps support healthy testosterone levels. 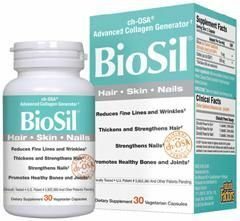 ColloidaLife Trace Minerals supplies 72 trace elements in a balance of colloids and ionic electrolytes. 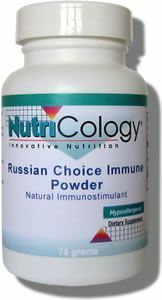 An excellent choice to replace trace minerals in your daily diet. 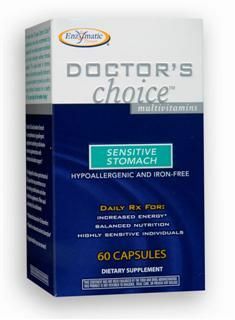 Doctor's Choice Sensitive Stomach is formulated to reduce gastrointestinal (GI) upset that sometimes occurs when taking multivitamins and other nutritional supplements. 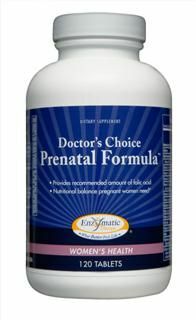 This multivitamin provides safe, sufficient nutrition you and your baby need. Doctor's Choice Flax Oil Plus soft-gels well balanced Omega-3 antioxidant with organic flax seed, pumpkin seed and borage seed oil for strong immune support. 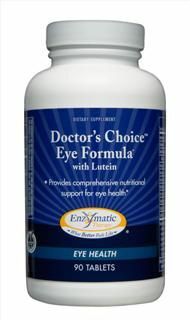 This formula should be your number one choice for reducing all signs and symptoms of aging. 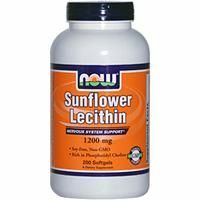 Look and feel vibrant with a fantastic sense of well-being. 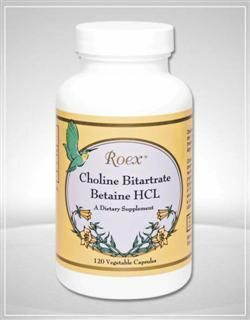 Choline bitartrate is an essential ingredient that allows the body to manufacture the neurotransmitter acetylcholine, which is essential for memory.